Air quality and climate change remote sensing applications for decision support. 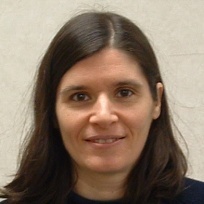 Dr. Ana Prados is a Research Assistant Professor at the Joint Center for Earth Systems Technology, University of Maryland Baltimore County. She has a Ph.D. in Chemistry and a Master’s in Public Policy from the University of Maryland, College Park. Her main area of expertise is the application of air quality remote sensing data for decision-support and the development of web-tools for access to Earth Science data. She currently coordinates and conducts remote sensing training workshops for the NASA Applied Sciences Program and performs research on the utilization of NASA data for examining air quality trends in the eastern U.S.